You can't spend all your time staying safe and warm inside your home, though that would be nice. The world is a hard, cold place to live. These Chippewa Men's 55074 Brown Waterproof Insulated EH Composite Toe Boots keep you safe and dry while you're living inside t ... (see full details) (see specifications) #CHP55074. You can't spend all your time staying safe and warm inside your home, though that would be nice. The world is a hard, cold place to live. These Chippewa Men's 55074 Brown Waterproof Insulated EH Composite Toe Boots keep you safe and dry while you're living inside them. The heavy-duty leather of these Chippewa boots is resilient and resistant to the elements. It withstands abrasions and stays tough against wear and tear. The tough bark shade of the uppers is a medium brown that looks great with anything. Non-tarnishable hooks and eyelets hold the heavy-duty nylon lacing system of these safety toe boots in place. Use the heavy duty nylon laces to customize the fit. Nylon is lightweight and highly abrasion-resistant. Inside these insulated boots, Chip-A-Tex waterproof booties protect your feet from the world outside. They block moisture so your feet stay dry and comfortable in spite of ugly weather. High-abrasion nylon lining protects the interior with lightweight protection. That's not all you'll find inside these waterproof boots. They're also made with 3M Thinsulate Ultra Insulation, material that keeps your feet warm. Lightweight Thinsulate absorbs your body heat and reflects it back to you. The 400 gram weight insulation is thin but powerful. It can keep you warm even in freezing conditions, as long as you're moving and working. Bontex insoles soften your stride and cushion your steps when you wear these men's boots. They're made with a lightweight composite material that keeps pressure distributed evenly on your feet. The midsole layers are made with shock-resistant rubber. This design keeps your feet soft. But feet also need support. That’s why there are steel shanks inside these work boots. The shanks lift and support your arches to prevent painful muscle strain. Chippewa IQ rubber soles complete the design of these EH boots. Shock-resistant rubber bounces back when it hits the ground, and that’s just how you need your feet to act. Goodyear storm Welt construction holds the durable soles in place. Through this process, the outsoles of these Chippewa boots are first glued to the uppers to create a firm bond. This bond is strengthened with stitches. The stitches are made with waxed thread that resists moisture. The soles of the brown boots are rated to resist electrical hazards. That means they absorb electricity, and that protects you from dangerous open circuits. The safety toes are made of composite, not steel. They’re non-metallic, but they meet ASTM F2413-11 standards for resistance to impact and compression. Unlike steel, composite doesn't conduct electricity or temperature. It’s a hard, cold world out there. 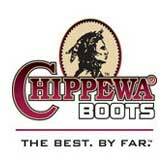 These Chippewa Men's 55074 Men's Insulated Composite Toe EH Waterproof Boots make it a little easier to deal with. Boots seem to keep feet warm but the comfort not the best. Doesn't feel like much cushion in the soles. A heavier boot. Give it more time but to be honest not as comfortable as my Red Wings right out of box. Chippewa Boots: Men's Composite Toe 55074 Insulated Waterproof EH Boots is being added to your cart.